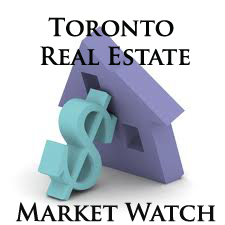 The Toronto Real Estate Board reported 11,992 sales in June 2015. This result represented a new record for the month of June and an 18.4% increase over the June 2014 result of 10,132. “As I begin my term as TREB President, I think it is important to point out that our region continues to grow in response to our diverse economic, ethnic and cultural bases. The GTA consistently receives international accolades as one of the best places in the world to live and do business. As the number of households grow, many of them will take advantage of the diversity of affordable home ownership opportunities that exist in Toronto and the surrounding areas,” said Mark McLean. Selling prices were up markedly on a year-over-year basis in June, for all major home types. The MLS® Home Price Index (HPI) Composite Benchmark was up by 8.9% in comparison to June 2014. The average selling price was up by 12.3% over the same period to $639,184.